Area: 444 sq. km. (171 sq. mi. ); about 2.5 times the size of Washington DC. Major islands: Mahe and Praslin. Terrain: About half of the islands are granitic in origin, with narrow coastal strips and central ranges of hills rising to 914 meters. The other half are coral atolls, many uninhabitable. Nationality: Noun and adjective — Seychellois. Population (July 2010 est. ): 90,945. Annual population growth rate (2009 est. ): -0.02%. Religions: Catholic 82.3%, Anglican Church 6.4%, Seventh-Day Adventist 1.1%, other Christian 3.4%, Hindu 2.1%, Muslim 1.1%, other 1.5%, unspecified 1.5%, none 0.6%. Languages: Official languages are Creole, English, and French. Education: Public schools and private schools, compulsory through grade 10. Literacy — 96%. Health: Free government health services for all people. Life expectancy — male 68.4 yrs, female 77.9 yrs. Infant mortality rate — 10.8/1000. Work force: 52,182 with 3,013 unemployed. Industries include tourism, fishing, manufacturing, and construction. Branches: Executive: president (chief of state and head of government). Legislative — unicameral National Assembly with 31 seats (25 directly elected and 6 allocated on a proportional basis). Judicial — Supreme Court, Appeals Court, and the Constitutional Court. Political parties: New Democratic Party (DP), Seychelles National Party (SNP), Parti Lepep (formerly known as Seychelles People's Progressive Front (SPPF). GDP (2010, official exchange rate): $750 million. Annual growth rate (2010 est. ): 6.3%. Per capita income (2010 est., purchasing power parity): $21,050. Average inflation rate (2010 est. ): 2.4%. Agriculture: Copra, cinnamon, vanilla, coconuts, sweet potatoes, tapioca, bananas, tuna, chicken, teas. Industry: Tourism, re-exports, maritime services. Trade: Exports (2010 est. ): $407 million: canned tuna, frozen/fresh fish, frozen prawns, cinnamon bark. Imports (2009 est.) — $915 million. Major partners — U.K., France, Mauritius, Japan, Italy, Singapore, South Africa, Spain, Saudi Arabia. Official exchange rate (2010): 12. rupees=U.S. $1. 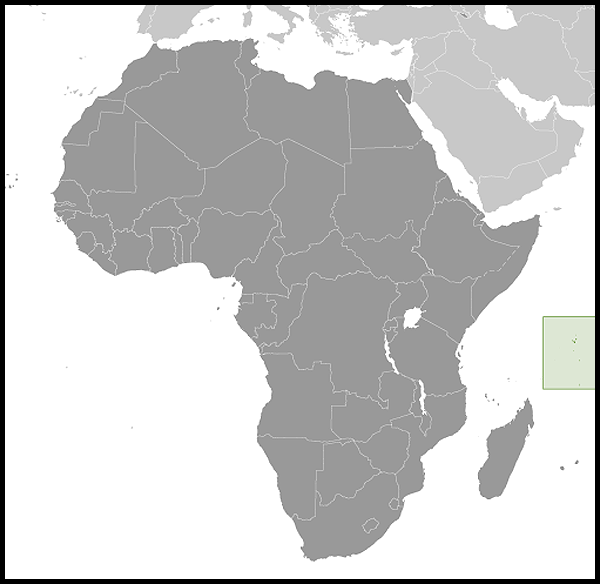 Seychelles is located in the Indian Ocean about 1,600 kilometers (1,000 miles) east of Kenya. The nation is an archipelago of 115 tropical islands with two distinct collections of islands, some comprised of granite and others of coral. The Mahe Group consists of 42 granitic islands, all within a 56-kilometer (35-mi.) radius of the main island of Mahe. These islands are rocky, and most have a narrow coastal strip and a central range of hills rising as high as 914 meters (3,000 ft.). 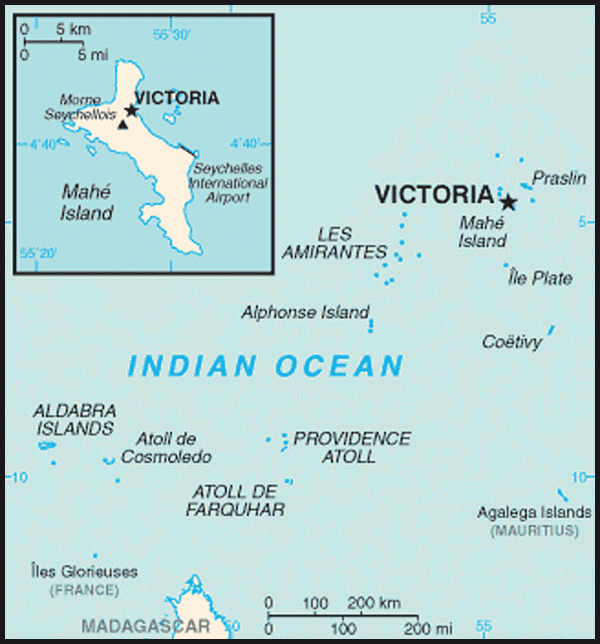 Mahe is the largest island and is the site of Victoria, the capital. The coralline islands are flat with elevated coral reefs at different stages of formation. They have no fresh water; human life can be sustained on them only with difficulty. The climate is equable and comfortable, although quite humid, as the islands are small and subject to marine influences. The temperature varies little throughout the year. Temperatures on Mahe usually vary from 750F to 850F, and rainfall ranges from 288 centimeters (90 in.) annually at Victoria to 355 centimeters (140 in.) on the mountain slopes. Precipitation is somewhat less on the other islands. During the coolest months, July and August, the temperature drops to as low as 700F. The southeast trade winds blow regularly from May to November, the most pleasant time of the year. The hot months are from December to April, with higher humidity. March and April are the hottest months, but the temperature seldom exceeds 880F. Most of the islands lie outside the cyclone belt, so high winds are rare. About 75% of the Seychellois live on Mahe Island. Most others live on Praslin and La Digue, with the remaining smaller islands either sparsely populated or uninhabited. Most Seychellois are descendants of early French settlers and the African slaves brought to the Seychelles in the 19th century by the British, who freed them from slave ships on the East African coast. Indians and Chinese (1.1% of the population) account for the other permanent inhabitants. In 2010, about 7800 expatriates lived and worked in Seychelles; of those, approximately 75 are U.S. citizens. Seychelles' culture is a mixture of French and African (Creole) influences. Creole is the native language of 94% of the people; however, English and French are commonly used. English remains the language of government and commerce. About 92% of the population over age 15 is literate, and the literacy rate of school-aged children has risen to well over 98%. Increases are expected, as nearly all children of primary school age attend school, and the government encourages adult education. The Seychelles islands remained uninhabited for more than 150 years after they became known to Western explorers. The islands appeared on Portuguese charts as early as 1505, although Arabs may have visited them much earlier. In 1742, the French Governor of Mauritius, Mahe de Labourdonais, sent an expedition to the islands. A second expedition in 1756 reasserted formal possession by France and gave the islands their present name in honor of the French finance minister under King Louis XV. The new French colony barely survived its first decade and did not begin to flourish until 1794, when Quéau de Quinssy became commandant. The Seychelles islands were captured and freed several times during the French Revolution and the Napoleonic wars, then passed officially to the British under the 1814 Treaty of Paris. From the date of its founding by the French until 1903, the Seychelles colony was regarded as a dependency of Mauritius, which also passed officially from the French to British rule in 1814. In 1888, a separate administrator and executive and administrative councils were established for the Seychelles archipelago. Nine years later, the administrator acquired full powers of a British colonial governor, and on August 31, 1903, Seychelles became a separate British Crown Colony. By 1963, political parties had developed in the Seychelles colony. Elections in 1963 were contested for the first time on party lines. In 1964 two new parties, the Seychelles Democratic Party (SDP) led by James Mancham, and the Seychelles People's Unity Party (SPUP) led by France-Albert René, replaced existing parties. In March 1970, colonial and political representatives of Seychelles met in London for a constitutional convention. Elections in November 1970 brought the resulting constitution into effect. In the November 1970 elections, the SDP won 10 seats, and the SPUP won 5 in the Legislative Assembly. Under the new constitution, Mancham became the Chief Minister of the colony. Further elections were held in April 1974, in which both major political parties campaigned for independence. During the April 1974 elections, the SDP increased its majority in the Legislative Assembly by 3 seats, gaining all but 2 of the 15 seats. Demarcation of constituencies was such that the SDP achieved this majority by winning only 52% of the popular vote. Following the 1974 election, negotiations with the British resulted in an agreement by which Seychelles became a sovereign republic on June 29, 1976. The SDP and SPUP formed a coalition government in June 1975 to lead Seychelles to independence. The British Government was asked to appoint an electoral review commission so that divergent views on the electoral system and composition of the legislature could be reconciled. As a result, 10 seats were added to the Legislative Assembly, 5 to be nominated by each party. A cabinet of ministers also was formed consisting of 8 members of the SDP and 4 of the SPUP, with Chief Minister Mancham becoming Prime Minister. With independence on June 29, 1976, Mancham assumed the office of President and René became Prime Minister. The negotiations following the 1974 elections also restored the islands of Aldabra, Farquhar, and Des Roches to Seychelles upon independence; those islands had been transferred in November 1965 from Seychelles to form part of the new British Indian Ocean Territory (BIOT). Although the SDP/SPUP coalition appeared to operate smoothly, political divisions between the two parties continued. On June 5, 1977, during Mancham's absence at the London Commonwealth Conference, supporters of Prime Minister René overthrew Mancham and installed René as President. President René suspended the constitution and dismissed the parliament. The country was ruled by decree until June 1979, when a new constitution was adopted. In November 1981, a group of mercenaries attempted to overthrow the René government but failed when they were detected at the airport and repelled. The government was threatened again by an army mutiny in August 1982, but it was quelled after 2 days when loyal troops, reinforced by Tanzanian forces, recaptured rebel-held installations. At an Extraordinary Congress of the Seychelles People's Progressive Front (SPPF, now known as Parti Lepep) on December 4, 1991, President René announced a return to the multiparty system of government after almost 16 years of one-party rule. On December 27, 1991, the Constitution of Seychelles was amended to allow for the registration of political parties. 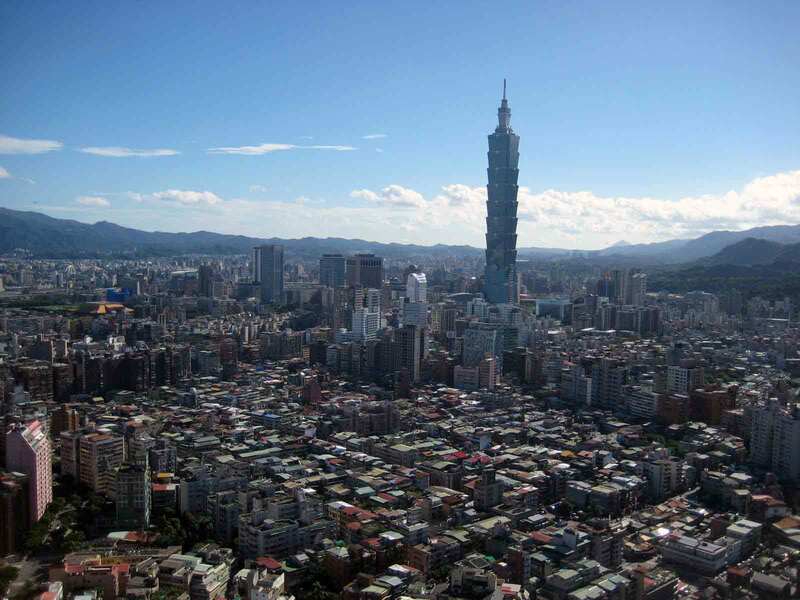 By the end of that month, eight political parties had registered to contest the first stage of the transition process: election to the constitutional commission, which took place on July 23-26, 1992. A consensus text was agreed upon on May 7, 1993, and a referendum to approve it was called for June 15-18. The draft was approved with 73.9% of the electorate in favor. July 23-26, 1993 saw the first multi-party presidential and legislative elections held under the new constitution, as well as a resounding victory for President René. All participating parties and international observer groups accepted the results as "free and fair," as has been the case for each subsequent round of elections in Seychelles. Elections were next held in 1998, when candidates for Vice President ran on the same ticket as candidates for President for the first time. President René was re-elected in both 1998 and 2001, but retired in 2004, turning over the Presidency to then-Vice President James Michel. Though aging, former President René remains an influential figure in Seychellois politics. The July 2006 presidential elections saw President Michel win his first elected term. Following a 6-month boycott in the National Assembly by the SNP opposition party, President Michel dissolved the National Assembly in March 2007 and called early elections to fill the vacated seats. The SPPF thereafter held a majority with 23 seats, while the SNP/DP alliance held 11 seats. In the May 2011 presidential election, incumbent President Michel was again victorious, winning 55.5 percent of the popular vote. The National Assembly voted to dissolve itself in July 2011, prompting early legislative elections in October 2011. Those elections were boycotted by all major opposition parties (though one new, minor opposition party did participate), resulting in Parti Lepep sweeping the seats in the National Assembly. The president is both the chief of state and head of government and is elected by popular vote for a 5-year term. The Council of Ministers serves as a cabinet, and its members are appointed by the president. The unicameral National Assembly has 31 seats — 25 elected by popular vote and 6 allocated on a proportional basis to parties winning at least 10% of the vote; members serve 5-year terms. The judicial branch includes a Court of Appeal, a Constitutional Court and Supreme Court; judges for both courts are appointed by the president. The legal system is based on English common law, French civil law, and customary law. Seychelles has had a multi-party system since the adoption of a new constitution in 1993. Multi-party elections deemed free, fair, and credible took place in 1993, 1998, 2001, 2006, 2007, 2008, and 2011. Parti Lepep has won the presidency and majority in the National Assembly in all of the elections, except for the 2008 by-election that it boycotted. Seychelles' economy relies on tourism and foreign direct investment. Employment, foreign earnings, construction, banking, and commerce are all largely dependent on these. The services sector — including transport, communications, commerce, fishing, and tourism — has accounted for close to 70% of GDP in recent years. The share of manufacturing has been between 15%-20% of GDP, although it fluctuates from year to year owing to changes in output from the Indian Ocean Tuna cannery. Public investment in infrastructure and strong foreign direct investment inflows in the tourism sector have kept construction buoyant, with its share of GDP at around 10%. Given the shortage of arable land, agriculture, forestry, and fishing (excluding tuna) make only a small contribution to national output. GDP in 2010 was estimated at $750 million (official exchange rate), and GDP per capita was $8,720 ($21,050 calculated by purchasing power parity - PPP), putting the island in the World Bank's "upper middle-income" bracket. For that reason, Seychelles is low on the agenda of international donors and aid flows are limited. Given the small size of the economy and its heavy dependence on tourism, the island remains vulnerable to external shocks, including the threat of piracy from the nearby Horn of Africa. There is some offshore banking activity, and recently also the prospect of oil in Seychelles' waters. Economic growth was strong in 2006 and 2007, with real GDP growing by 5.4% and 7.3%, respectively. Growth slowed to 3.1% and 0.7% in 2008 and 2009, respectively, due to external shocks, lower tourism earnings, and the persistence of structural constraints reflected in a rising debt burden and foreign exchange shortages. Real GDP grew by 6.3% in 2010, driven mainly by tourism and foreign direct investment. Inflation, which reached a historic high of 32% in 2009, has been brought under control and is estimated at less than 3% for 2010. Foreign exchange reserves are estimated at U.S. $211 million compared to U.S. $169 million in 2009, equivalent to more than 2 months' import cover. The budgetary surplus, which was initially estimated at 7%, will now be 9.4% of GDP for 2010. Seychelles had years of socialist-oriented economic policy during single-party rule, characterized by price, trade and foreign exchange controls, a prominent role for parastatal companies, and robust debt-funded development spending. This led to rapid economic development, but also created serious economic imbalances. These problems included large fiscal and external deficits and mounting debt arrears, which contributed to persistent foreign exchange shortages and slow growth. Press reports indicated that high-level corruption contributed substantially to these problems. In October 2008, facing the near-depletion of official foreign exchange reserves, Seychelles defaulted on interest payments due on a U.S. $230 million Eurobond issued 2 years previously, severely damaging its credibility as a borrower. The government subsequently turned to the International Monetary Fund (IMF) for support, and in an attempt to meet the conditions for a stand-by loan, began implementing a program of radical reforms. These included a fundamental liberalization of the exchange rate regime, involving the devaluation and floatation of the rupee, and the elimination of all foreign exchange controls. In light of the economic and financial reforms, the IMF approved a 2-year U.S. $26 million stand-by loan in November 2008, which represents the Fund's first-ever formal program in Seychelles. Seychelles' program implementation continues to receive praise from the IMF, helped by the committed implementation of reforms and broad-based public support for the process. Reflecting this, the IMF converted Seychelles' 2-year stand-by agreement into a 3-year fund facility worth U.S. $31 million in December 2009. An IMF mission in May 2010, visiting for an initial review of the extended fund facility, commended Seychelles for meeting all of the program conditions to date. The IMF's endorsement continues to facilitate the engagement of other key donors, including the World Bank, which approved a U.S. $9 million policy support loan for Seychelles in October 2009 as a prelude to a 2-year interim country assistance strategy. The IMF's seal of approval will also facilitate the rescheduling of Seychelles' large foreign debt burden. In a key breakthrough, Seychelles' commercial creditors (which hold about 60% of Seychelles' debt) gave their approval in January 2010 to a restructuring offer from the Government of Seychelles that will see the amount owed cut by 50%, with repayments taking place between 2016 and 2026. In combination with the 45% debt write-off agreed by the Paris Club of creditors in April 2009, it is estimated that Seychelles' debt burden should fall from about 98% to a more sustainable 56% of GDP for 2010. However, Seychelles remains highly exposed to external shocks, including piracy threats and risks to the European economic outlook (source of most tourists). Seychelles is ranked 8th in Africa and 103rd worldwide in the World Bank's Ease of Doing Business report, and comes in at 142nd in the Heritage Foundation Index of Economic Freedom. In February 2011, global rating agency Fitch assigned Seychelles a Country Ceiling of 'B' (from 'B-' in 2010) and a short-term foreign currency Issuer Default Rating of 'B'. According to Fitch, Seychelles' revised ratings "reflect Seychelles' outperformance, by a wide margin, of the fiscal targets set for it by the International Monetary Fund (IMF) programme, for a second consecutive year." Although Seychelles is eligible for the African Growth and Opportunity Act (AGOA), it has been unable to take advantage of AGOA thus far. Seychelles is not qualified for apparel benefits under AGOA and, in any case, its apparel manufacturing capacity is negligible. Seychelles has a small security and defense force, which includes a National Guard Force, the Seychelles People's Defense Forces (SPDF), the Presidential Protection Unit, the Coast Guard, and about 575 police officers. The police force includes an armed paramilitary Police Mobile Unit. The president controls the security apparatus. The Seychelles Coast Guard (SCG), which was created in 1992, assumes many of the same maritime roles commonly associated with the U.S. Coast Guard. The SCG has responsibility for maritime search and rescue, environmental protection out of its Port and Marine Services Division, and the counter-piracy mission in the 1.3 million square kilometer (about the size of Western Europe) exclusive economic zone. The SCG has four primary operational vessels: the Italian-built Andromache, the Indian-built Topaz, and two Spanish-built Rodman patrol crafts donated by U.A.E., each with crews of approximately 25. Most other vessels, including three of four ex-U.S. Coast Guard Motor Life Boats and the luxury yacht Gemini that was formerly used as the presidential yacht, remain non-operational due to limited manpower and the need to keep the primary vessels operational. The air wing of the defense force separated from the Coast Guard in 1997. It does not have any dedicated aircraft, but it sometimes supplies pilots and aircrews to fly search and rescue missions. The wing's primary duty is to train pilots. The Island Development Corporation (IDC) maintains the pool of aircraft, generating income through charter services. The aircraft inventory includes one Defender, one Cessna 150, and one Beech 1900. An Air Seychelles Twin Otter will also assist with maritime patrol and in 2012 Seychelles will receive a Hindustan Dornier patrol aircraft from India. In the meantime, the Indian Government is lending Seychelles a Dornier with flight crew to provide counter-piracy patrols until the arrival of the donated Dornier. Given the threat of piracy in the Indian Ocean region, Seychelles has reached out to the international community for assistance and has significantly strengthened its ties with the United States, the U.K., France, the EU, India, and China. The Government of Seychelles has entered into multiple agreements and memoranda of understanding (MOUs) with various international partners, including the United States, to protect its borders and its tourism and fishing-based economy, which is directly impacted by piracy in the region. Russia, the United Kingdom, France, India, China, and Cuba maintain embassies in Victoria. Seychelles has an ambassador resident in New York, accredited to the United Nations and to the United States and Canada. It also has resident ambassadors in the United Kingdom, China, France, India, South Africa, the Vatican, and Belgium. In 2010, the Seychelles Government indicated its intent to open a new mission in Cuba, but has not specified when it expects to do so. Seychelles is a member of the Southern African Development Community (SADC), the Common Market for Eastern and Southern Africa (COMESA), the Nonaligned Movement (NAM), the African Union (AU), the Commonwealth, the International Monetary Fund (IMF), the Indian Ocean Commission (IOC), La Francophonie (Association of francophone countries), and the UN and some of its specialized and related agencies. The European Union has concluded an interim Economic Partnership Agreement with the Eastern and Southern African region, including Seychelles. Seychelles is also a member of the Small Island Developing States (SIDS) group and is closely aligned with SIDS on issues related to climate change and global warming. The year 1963 marked the beginning of an official U.S. presence in Seychelles when a U.S. Air Force Tracking Station was built and put into operation on Mahe on land leased from the Seychelles Government. The station's complement consisted of five uniformed Air Force personnel (two officers and three sergeants), 65 employees of Loral Corporation and Johnson Instruments, and 150 Seychellois employees. The USAF Tracking Station officially closed down on September 30, 1996. Currently, the U.S. Air Force operates unarmed Remotely Piloted Aircraft (RPA) to support on-going regional counter-terrorism and counter-piracy efforts. Peace Corps Volunteers served in Seychelles between 1974 and 1995. A U.S. consulate was opened in May 1976 and became an Embassy after Seychelles' independence in June 1976. The Embassy was subsequently closed in August 1996, and the United States opened a consular agency on September 2, 1996 to provide services to U.S. citizens resident in Seychelles. The agency is under the supervision of the American Embassy in Port Louis, Mauritius. The U.S. Ambassador to Mauritius also is accredited to Seychelles. The address of the U.S. Embassy (http://mauritius.usembassy.gov/) in Mauritius is Rogers House, Fourth Floor, John F. Kennedy Street, Port Louis (tel: 230-202-4400; fax: 230-208-9534; E-mail: usembass@intnet.mu (usembass@intnet.mu).